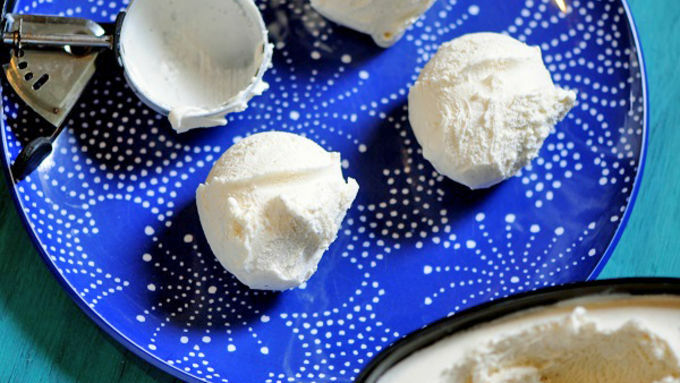 Form ice cream into balls using a scoop. Do the best you can to get it in a ball shape. Make 6 balls. Place in freezer and let set up for 30 minutes. Place the Cinnamon Toast Crunch™ into a plastic bag and seal it. 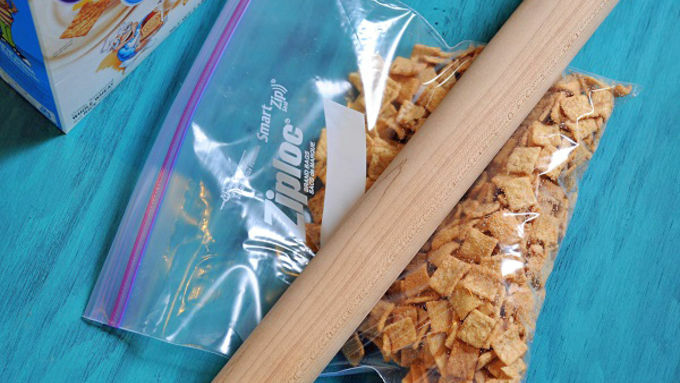 Using a rolling pin crush the cereal into fine crumb. 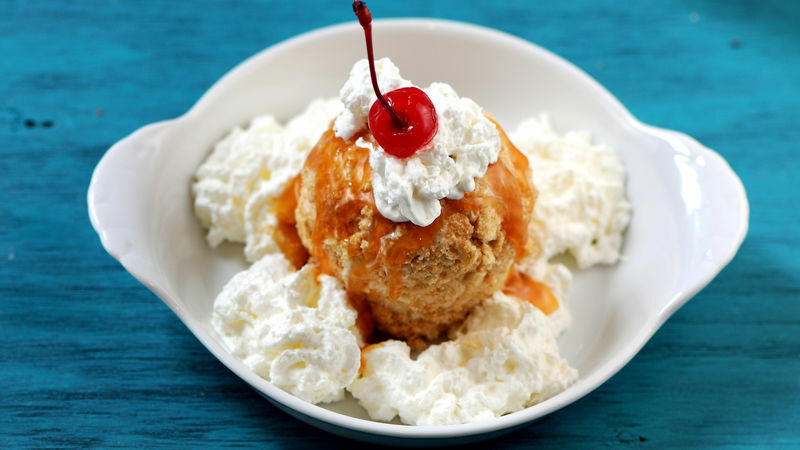 While ice cream is setting up, heat caramel sauce and Rumchata in a small saucepan and whisk together. Let cool to room temperature. Sprinkle the Cinnamon Toast Crunch™ crumbs onto a large plate. 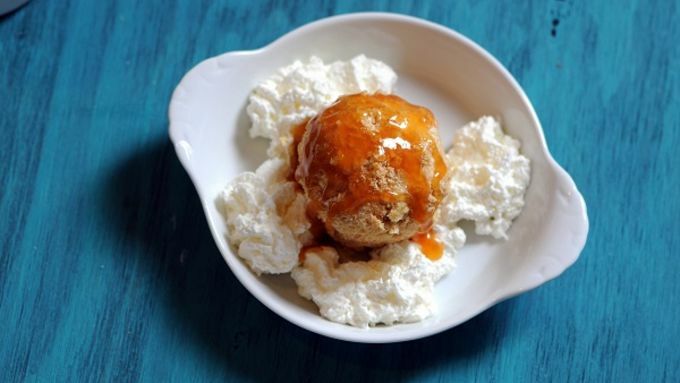 Remove the ice cream balls and roll each one into the crumbs. Place them back into the freezer for 1 to 1-1/2 hours until the set up. 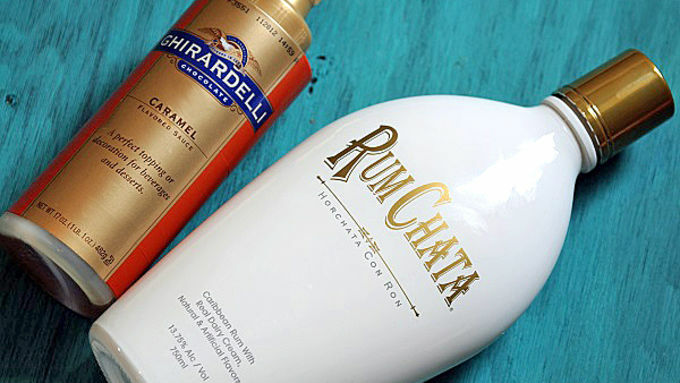 Top with Rumchata-Caramel sauce and whipped cream. If desired, add a cherry on top. Here is a fun and easy dessert that the whole family can help make. 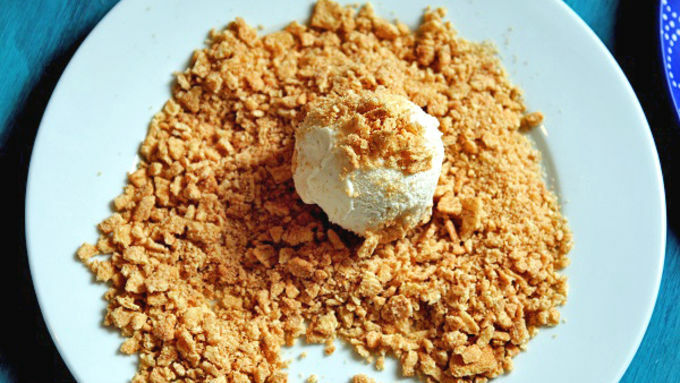 Even though I am calling it Cinnamon Toast Crunch “Fried” Ice Cream, there is no frying involved and it has all of the flavors of the traditional dessert. I was inspired by a traditional recipe found on Tater Tots and Jello. The more traditional version of this dessert uses corn flakes and cinnamon, but when you use Cinnamon Toast Crunch everything you need is already there. You can get the flavor and the crunch without having the mess of deep frying. Instead of topping with the traditional honey, I went with a sauce using caramel sauce and Rumchata (which is a cream rum liqueur). Of course, if you are making this for the kiddos, stick with the honey. Either way your family or guest will be saying YUM! to this fun dessert.